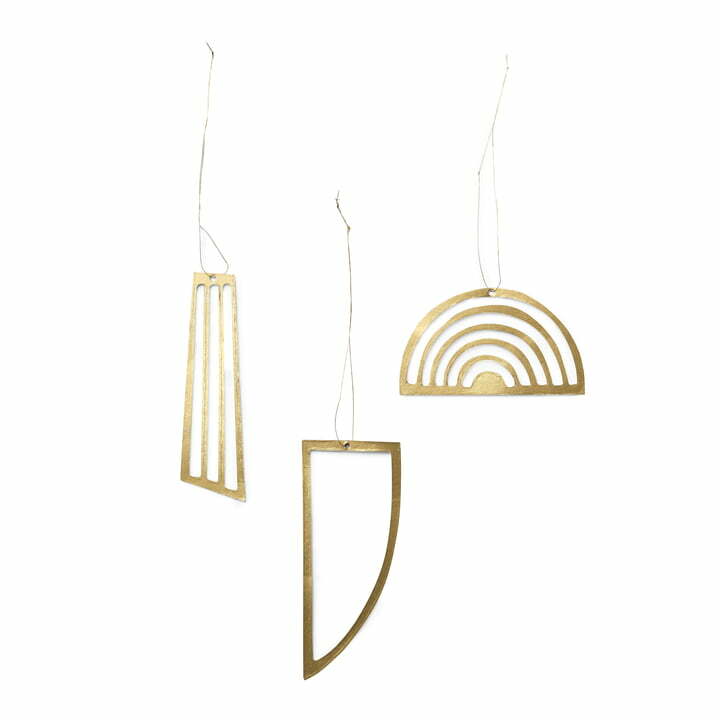 The Christmas tree ornaments from ferm Living come in a practical set of 3 and convince with their modern and filigree design. 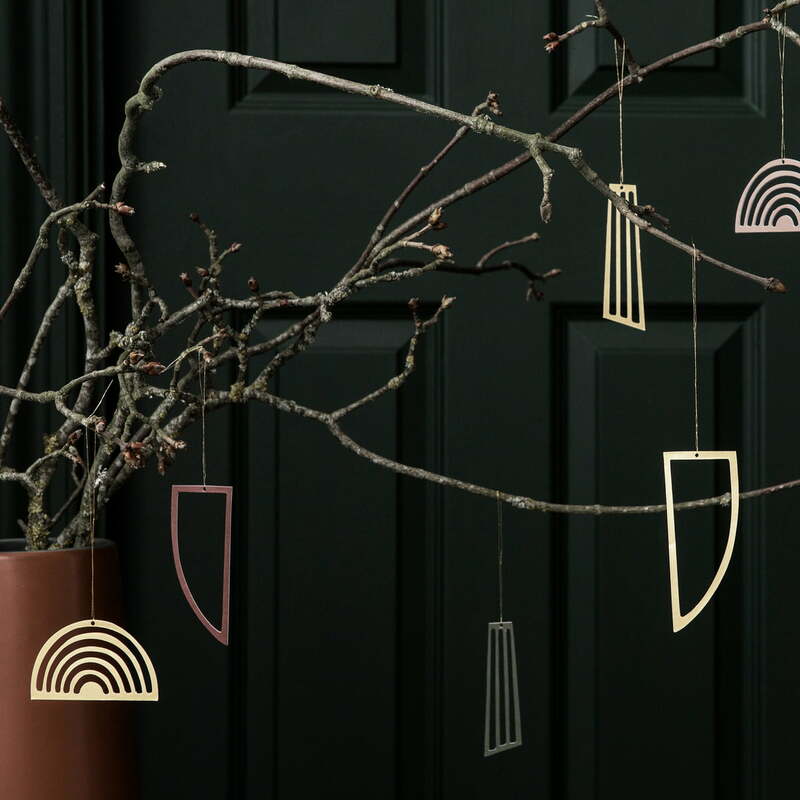 The ornaments were designed by Leise Dich Abrahamsen for the Christmas collection of ferm Living, which festively stages the home at Christmas time with golden elements and playful details. The three elements are made of paper and are painted on the back in different colours. The filigree brass chain offers many decoration possibilities. They can serve as festive decoration on the Christmas tree, in front of the window, on branches or on gifts. The Christmas tree ornaments from ferm Living come in a practical set of 3 and convince with their modern and filigree design. The ornaments were designed by Leise Dich Abrahamsen.